* Total number of reviews and star-ratings are based on data collected during the time period Northeast Power Dry has been using the ReviewBuzz system and may not directly match the data found on each public review site. Scott and Bryan at Northeast Power Dry were such a pleasure to work with. After my basement flooded, Scott came right away and began the drying process and mold testing. When the test came back positive for mold Bryan and Kilo came in and began the remediation process. These two were phenomenal and I was so happy to have them here working on my home. They were diligent in making sure that everything was safe in my home and they worked for 2 days straight cleaning everything. Scott handled everything with my insurance company and stayed on top of them when it came to the claim and we were able to get everything handled fairly easily. I would recommend this company for any water issues, and I would especially recommend Scott, Bryan and Kilo. They were amazing!! Matt is da man! Very professional and after explaining the situation he, Bryan and the crew attacked it with alacrity! Pleased with all aspects of work done. Matt was informative and helpful, guiding me through the process of mitigating the issues caused by two inches of water in my basement. He also assisted me in navigating the phone call to my homeowners insurance company. Jeno was also professional and efficient in all the water removal work required. I highly recommend Northeast Power Dry should you find yourself in the unfortunate situation of having unwanted water in your home. 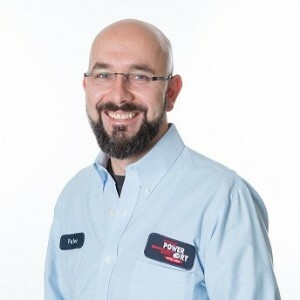 Mike ***** from Northeast Power Dry came quickly to my house on a late Saturday afternoon, determined what the damage was and very patiently explained in detail what steps had to be taken and when. He initiated the call to my insurance company for which I am grateful as I had never filed a homeowner's claim before. The tech crew also did a superb job in much less time than I anticipated. Terrific company, 5 stars. I cannot adequately express how pleased I am with the service I received this Saturday from Northeast Power Dry. Chris, Abel and another gentleman whose name I unfortunately cannot recall were tremendous. Long story short is that an upstairs toilet overflowed and leaked through the ceiling into my kitchen. 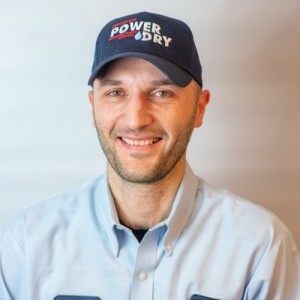 My plumber recommended Northeast Power Dry, and within 45 minutes of placing a call on Saturday night, Chris was on the scene evaluating and situation and making recommendations. Abel and his colleague arrived within an hour of me approving the work and spent the following two hours removing the appropriate parts of my kitchen ceiling dry rock, drying, sanitizing, and de-humidifying. They were extremely professional, courteous, and did an outstanding job, all late on a Saturday night without any complaints. Kudos to this provider. Customer service clearly is an appreciated priority. These guys rock. These guys were great. 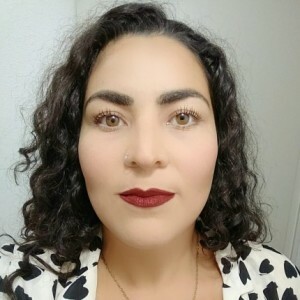 Very effective and professional work was done to solve my problem, they followed up after leaving the house clean and I would definitely recommend them! Immediate service, I had my property assessed on the same say I called. Staff very professional and dealt directly with the insurance company so I didn't have to. Great work. Fast response, real nice folks, hard workers. We had a flood on Thanksgiving, our plumber gave us Northeast Power Drys number. From tbe first phone call, they provided excellent service and we were confident that we were in good hands. 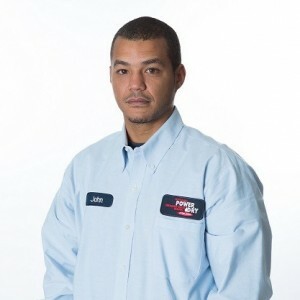 Brandon the project manager kept in touch constantly and Jose and his team provided great service. Highly recommend! Christina the Project Manager arrived in record time; she diagnosed the problem, provided options and paved the way for an immediate resolve. She was professional, empathetic, and extremely knowledgeable. Through her guidance and expertise, she turned an unpleasant problem into a positive outcome. Jose I can’t say enough about; he takes his duties and responsibilities very seriously and goes about his work with pride, professionalism, and integrity. He identified the areas of concern, treated them and secured the areas leaving both my wife and I feeling confident that the issue was being addressed in a proficient manner. 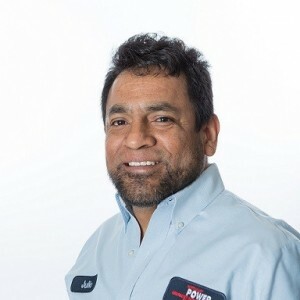 Both Christina and Jose are an asset to Northeast Power Dry and I would highly recommend your services without hesitation! The team that dried our house was professional and thorough and was able to come right away, which was critical for drying the floors. From the service coordinator to the technicians, we were very happy with our service and would recommend them to others. Customer service is always a top priority at Northeast Power Dry. Our BBB Membership rating is like a badge of honor as we continuously strive to provide the best experience for our clients.